Salma is a 14-year-old boxer who dreams of being a champion. She trains every day at the Brussels Boxing Academy (BBA) in the multicultural suburb of Molenbeek. For its 600 members, boxing offers education, discipline and identity. The Belgian-Moroccan boxer knows she represents not only herself and her club but also Molenbeek itself, which has long been portrayed as a “hotbed of radicalism”. Following the coordinated attacks in Paris in November 2015, and the bombings at Brussels’ airport and metro in 2016, police raided locations in and near Molenbeek and arrested several suspects. It spawned feelings of unease in the community. For the BBA, the headlines hit home when one of their champion fighters was arrested on suspicion of having links with the Paris attackers. The BBA was closed down while police investigated, at the very time its trainers felt Molenbeek’s youth most needed its support. Now up and running again, the club has a lot to prove. And so does Salma. Will she be able to strike a win for her club’s vision of unity at the Belgian Championships? 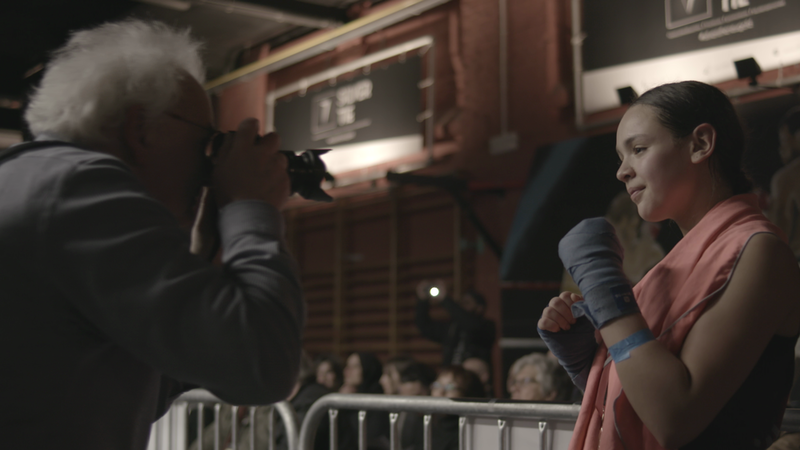 Director Leah Borromeo on Salma The Boxer: "The chaos is something they did not ask for"
Leah Borromeo writes about the process of making Salma the Boxer, and how the young people from Molenbeek are countering accusations their neighbourhood is a "hotbed of radicalism"